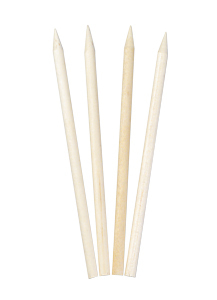 5 1/2″ x 1/4″ Wooden Skewers Semi-Pointed Case of 5000 | Pronto Pup Co., Inc.
Top quality Hardwood Skewers 5 1/2″ x 1/4″ Semi-Pointed. The best for making Corn Dogs or Candy/Caramel Apples. Case contains 5 boxes each containing 1000 skewers. 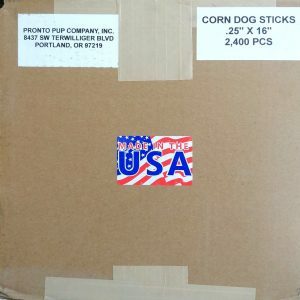 For multi-case orders please call 503 244-9421 for better shipping options.